Great Tips To Follow For Roof Repair. 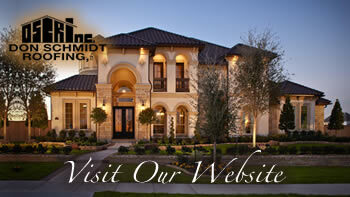 Home » Don Schmidt Roofing Blog » Great Tips To Follow For Roof Repair. Finding a leak or damage to your roof can be a stressful problem, and if you don’t have a lot of experience with roofers, you may not know where to start. Many people ask friends or family for a recommendation, while others search online. But no matter where you start, here are a few tips to help you avoid making a costly mistake. Instead of carrying out the entire process all alone, it is best to hire an experienced professional who has the reputation, skills and knowledge about the latest roofing techniques Florida. After all, our weather and roofing material requirements are much different here in Florida than in other parts of the country, so be sure you choose someone with local experience. To ensure that your house is in safe hands, you need the services of a skilled expert who is licensed to do the work. The cost will be worth knowing that you have an expert on the job. Experts will evaluate the condition of your roof and advise you on a replacement or a completely new roof. Employing a professional protects you from harming yourself from injuries or accidents that could happen if you did the work yourself. A good contractor will be able to give you references from former customers and it is worth the time to contact those people and get their feedback. Check the Better Business Bureau, Angie’s List, Google Reviews and other places to find out if the roofer has been rated highly. And, when the job is over, give some reviews of your own to help others. Before you start with the roof repair or replacement process, it is best to know what your budget is and whether your home insurance will be covering any of the cost. Get an estimate from the roofer you are hiring so that you can have an idea about their fees and, if necessary, submit it to your insurer in advance. If possible, set aside some money in case you want to add extras or make changes to the roofing materials that may cost more. To save money, you can compare the charges of different roofers in Florida. Choose the one with a good reputation and the best value. These three tips can help in repair or replace your roof with the assurance of knowing you have a professional doing the job. Choosing a reputable company to perform your roof repair can keep you worry free.